Happy Tuesday! I hope you are all having a great week and have some fun plans for the 4th! 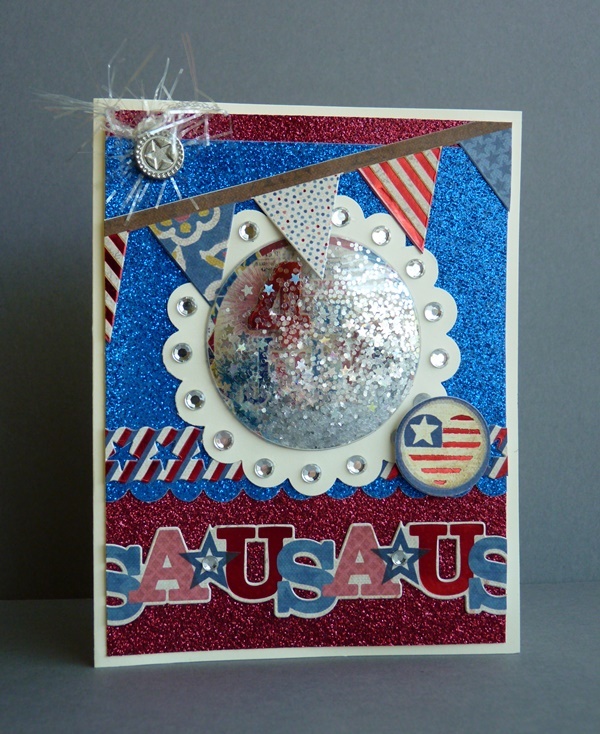 Americana/4th of July cards are some of my favorite and because of the Holiday just around the corner, Julie and I decided to have it our theme this week! I have to apologize about the picture! I used an adorable EK Success “4th of July” sticker.. because of the massive amounts of shiny stars in it, it was SUPER hard to photograph. I hope you enjoy! Absolutely awesome !! The sparkles and the banner across the bottom are perfect – LOVE IT ! !